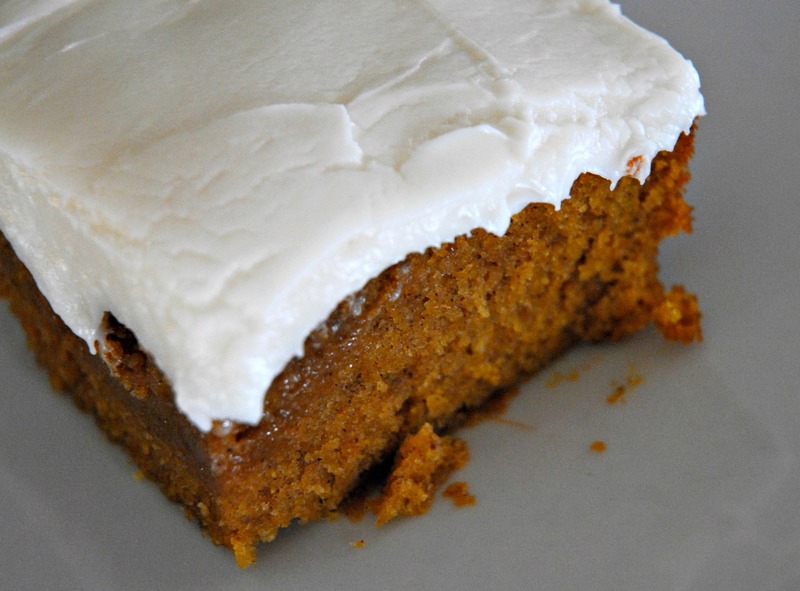 I love this cake, it is amazing and the frosting is incredible. 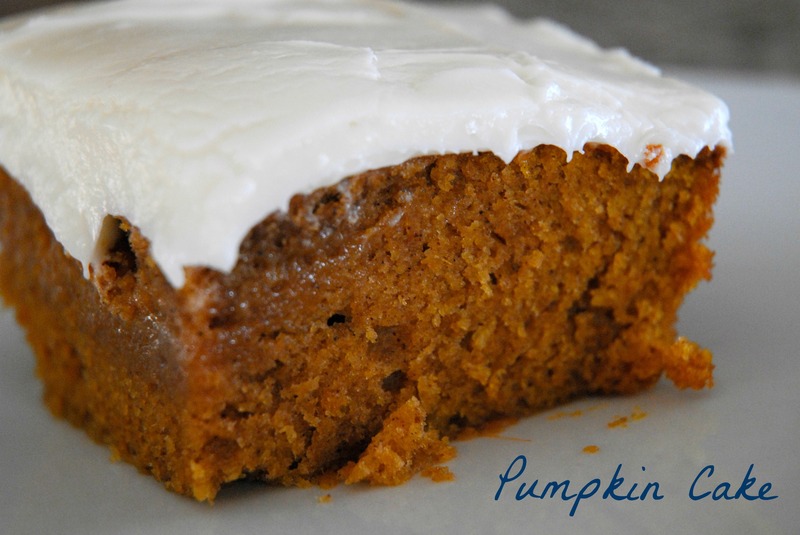 I have had this recipe for many years and I always break it out and start making it again at the beginning of October. Alex’s birthday is October 1st and he almost always requests it for his special birthday dessert. From then on, I make it as often as I can during the fall/ winter season. I remember about three years ago there was a pumpkin shortage- do you remember that? I was terrified that I wouldn’t be able to find my canned pumpkin, so I stocked up and disaster was averted! We went out to Prescott to visit Alex for his birthday and I made this delicious cake for him. He let us each have one piece and then it was all for him! I put purple, blue and green sprinkles on it and brought Monster’s University plates and napkins. Just what every 21 year old would pick! 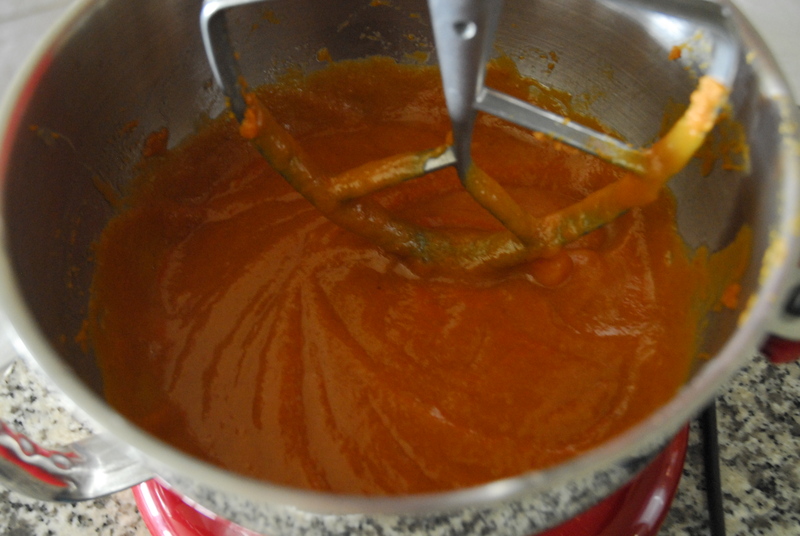 In a separate bowl, mix together sugar, oil, eggs and pumpkin. 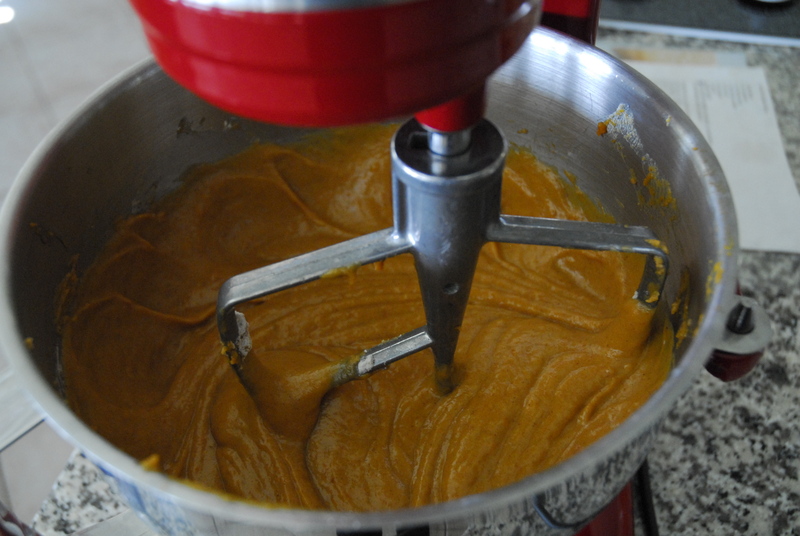 Stir flour mixture into pumpkin mixture and mix well. Add nuts, if desired. Pour into a well greased 9×13″ pan. 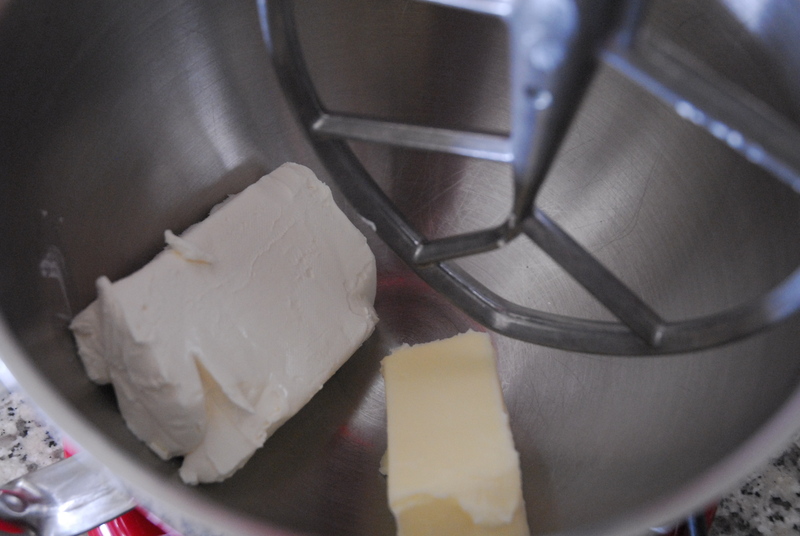 Bake at 350* for 30 to 40 minutes, or until a toothpick or skewer inserted into the center of the cake comes out clean. I know that is a really vague bake time. For some reason my original recipe says 20 to 30 minutes and that is too short and I have never paid close enough attention to how long it actually takes. So you just have to guess and then keep checking! Let cake cool completely, before frosting. 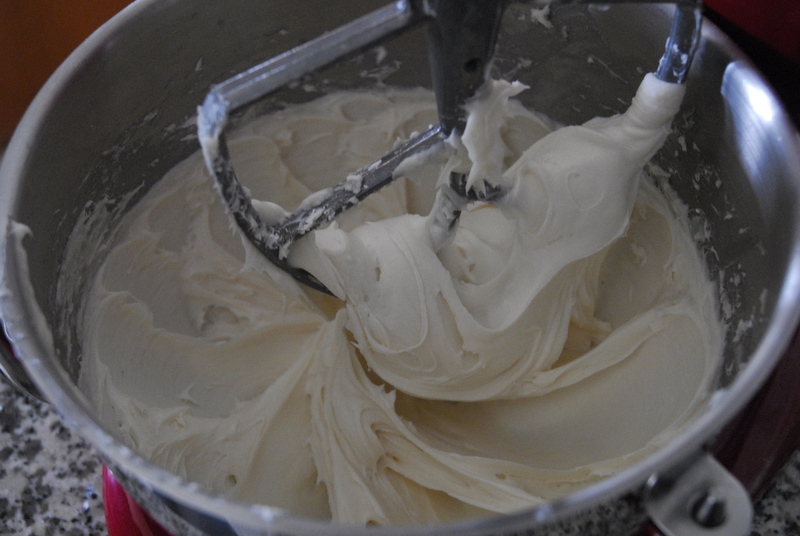 For the frosting, beat all ingredients together. 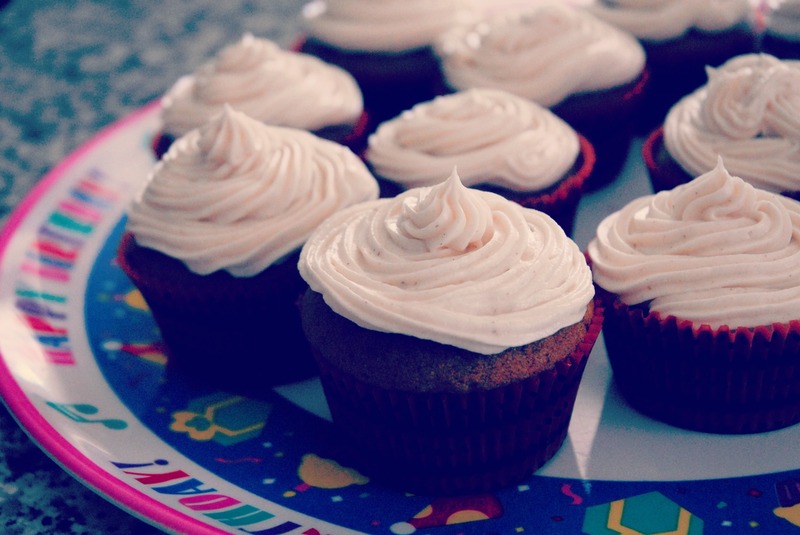 I made these babies into cupcakes for the first time, just the other day. 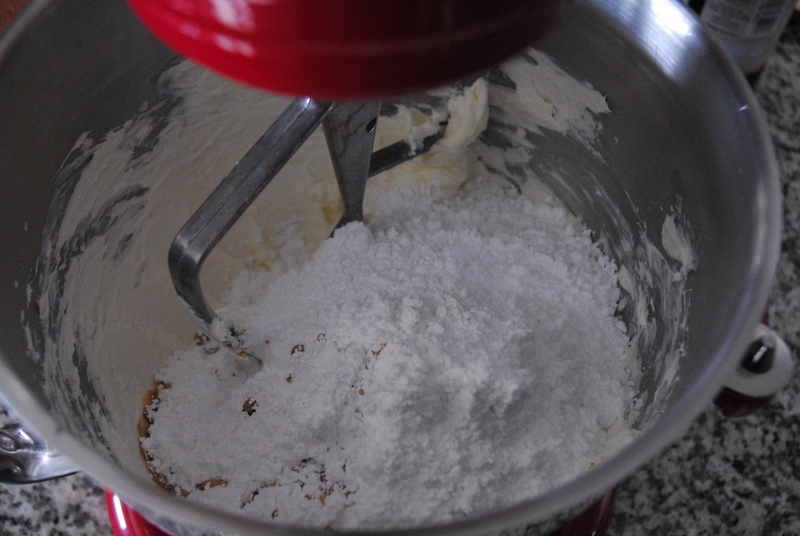 The recipe made 24 cupcakes, just shorten the baking time to 17-19 minutes. 2 cups sugar (not a typo) scary! 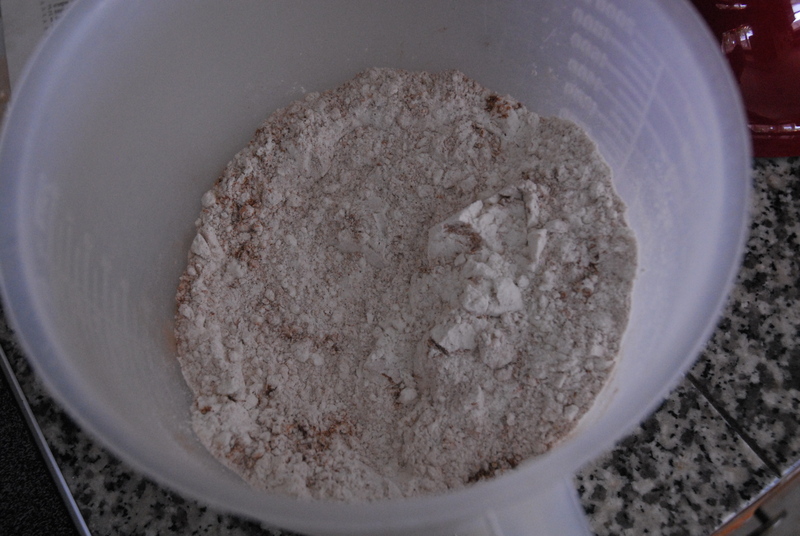 Combine all dried ingredients. 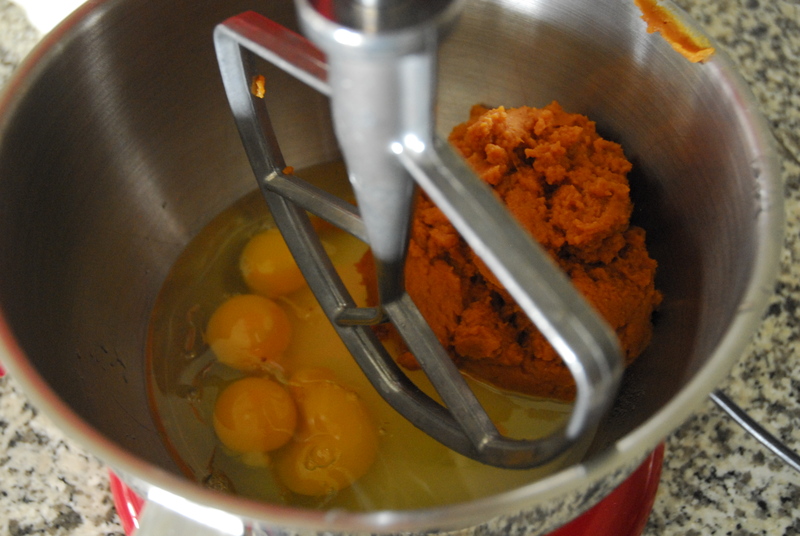 In a separate bowl; mix together sugar, oil, eggs and pumpkin. 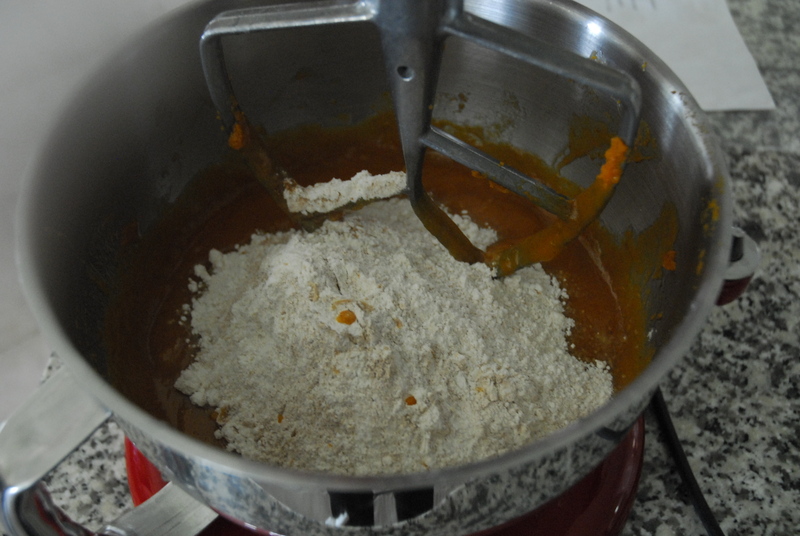 Stir flour mixture into pumpkin mixture and mix well. Add nuts, if desired. 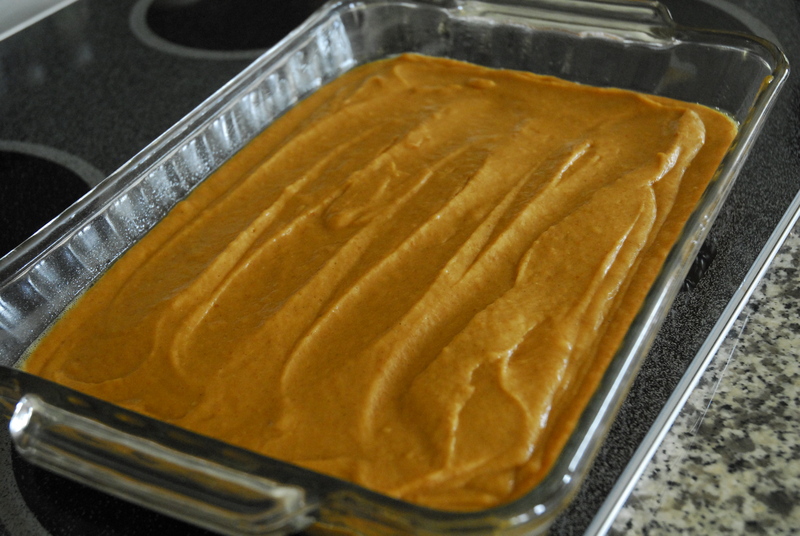 Pour into a well greased 9×13″ pan. 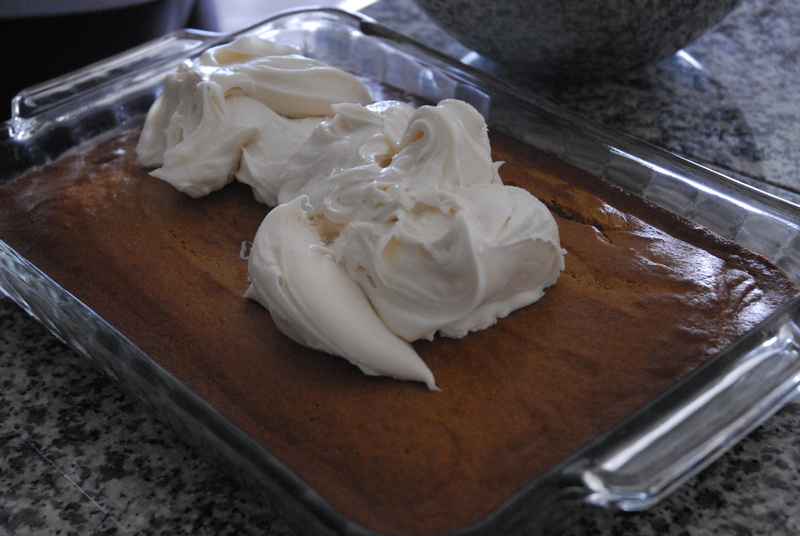 Bake at 350* for 30 to 40 minutes, or until a toothpick or skewer inserted into the center of the cake comes out clean. I know that is a really vague bake time. For some reason my original recipe says 20 to 30 minutes and that is too short and I have never paid close enough attention to how long it actually takes. So you just have to guess and then keep checking! 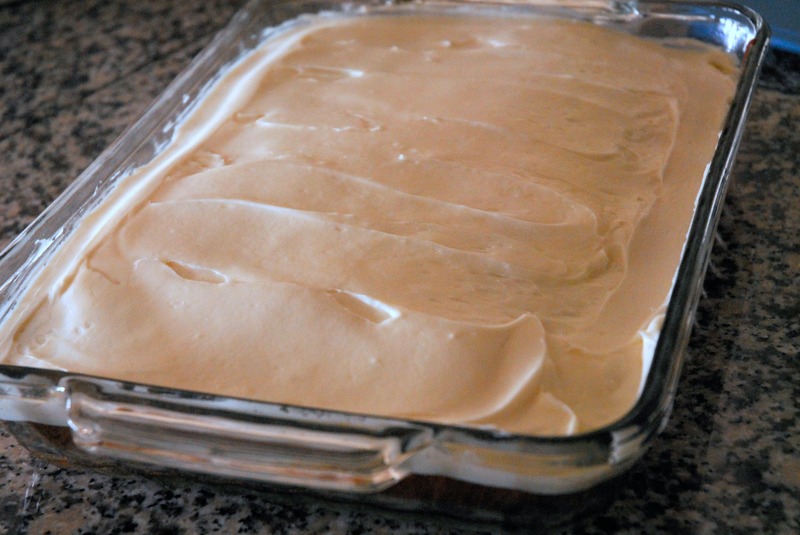 Let cake cool completely, before frosting. Beat all ingredients together. Frost cooled cake. Store in refrigerator.